Download the #GBHopeEndures: Prayers for Nigeria programme resource here. Please remember that this resource can be used to pray for the people of Nigeria at any time of the year. As a special prayer or programme night focussing on Nigeria. 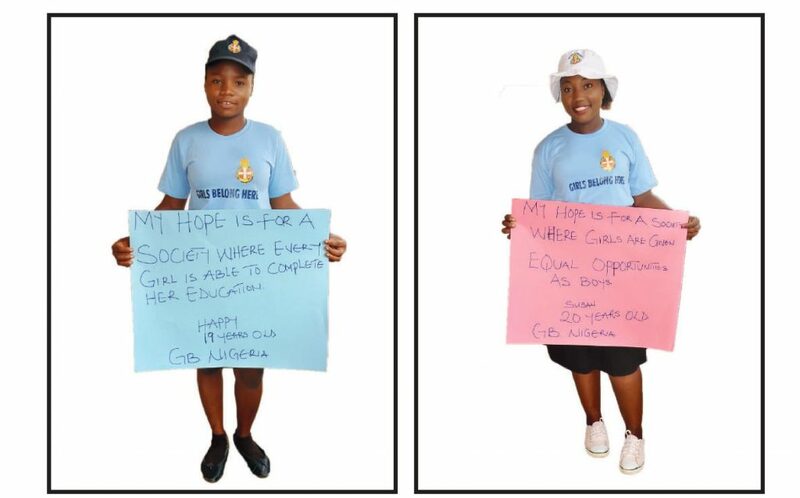 The #GBHopeEndures: Prayers for Nigeria resource also helps girls understand what it is like to be a girl in Nigeria and includes photos of GB Nigeria members and their hopes for the future. It invites GB members around the world to pray for their hopes to become a reality. 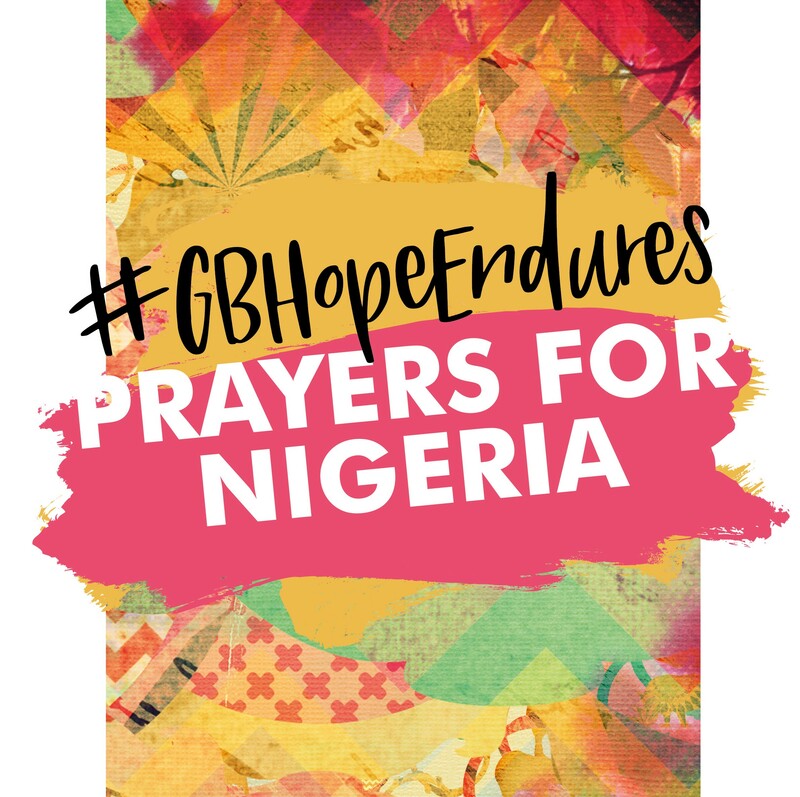 Download the #GBHopeEndures: Prayers for Nigeria resource here. You can download this short adaptable prayer and programme resource and use it in GB, in church or in many other ways. The prayer can be linked with practical action through GB International’s Cards of Hope initiative or through the Hope for Girls resource. And remember, it can be used any time. As a movement, Girls’ Brigade cares about how girls around the world are treated. We aim to bring hope into girls’ lives, and freedom brings hope! 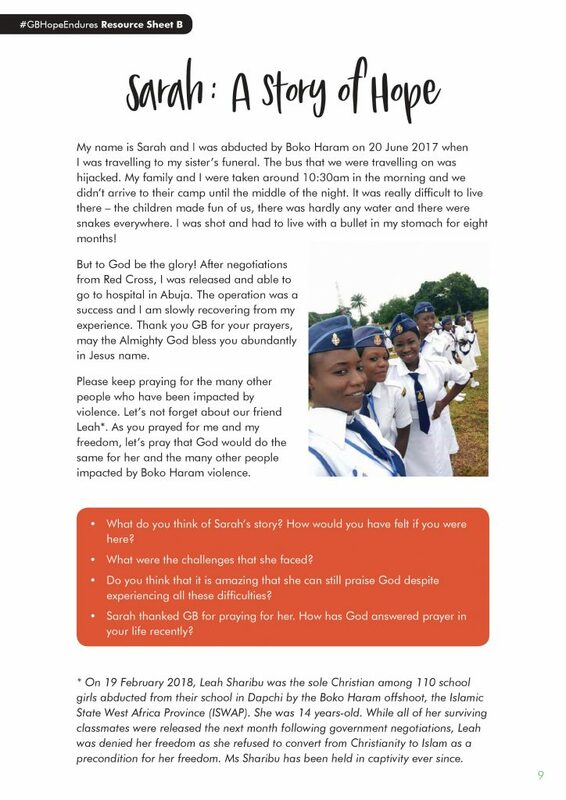 That’s why Girls’ Brigade members from around the world are joining together to continue to pray for the Chibok school girls in Nigeria as well as all the people impacted by violence across Nigeria. Please join us as we continue to raise hope for girls. How has GB campaigned for the Chibok girls? On 11 September 2014 (150 days since the abductions), more than 120,000 people were reached on social media with a message of hope about the kidnapped Nigerian school girls. GB leaders and supporters have also sent many messages of hope and support to the parents of the schoolgirls via Open Doors. 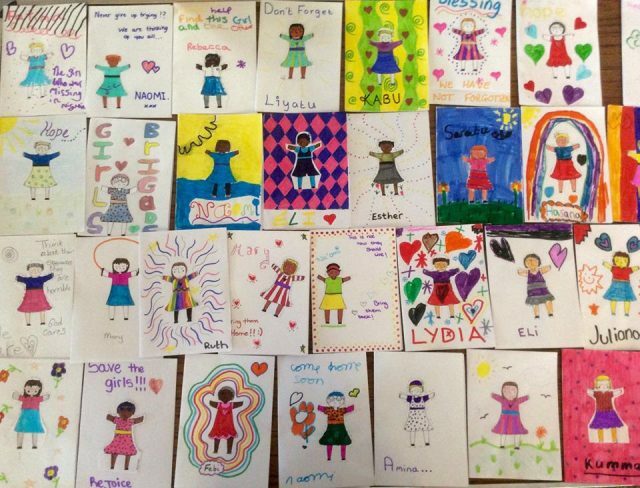 Sending over 5000 Cards of Hope to governments across the world reminding them that the girls have not be forgotten (you can still download the Cards of Hope pack here). This has included a delegation from GB England & Wales presenting Cards of Hope to Number 10 Downing Street, the home of the UK Prime Minister and a delegation from GB Australia presenting them to the Foreign Minister). Prayer activism on International Day of the Girl 2017. GB is thrilled to hear of the safe return of 22 young women – Amina in May 2016 and 21 in October 2016 and 82 were returned on 7 May 2017. Read more here. 112 young women (and countless others with no names) still remain without their freedom. Six of them are our GB sisters – Abigail, Deborah, Grace, Awa, Esther and Deborah. Unfortunately many families and communities have been affected by the violence of Boko Haram, the most deadly terrorist group in the world. Since 2009, 20,000 people have been killed and over 2.6 million have been forced to leave their homes. 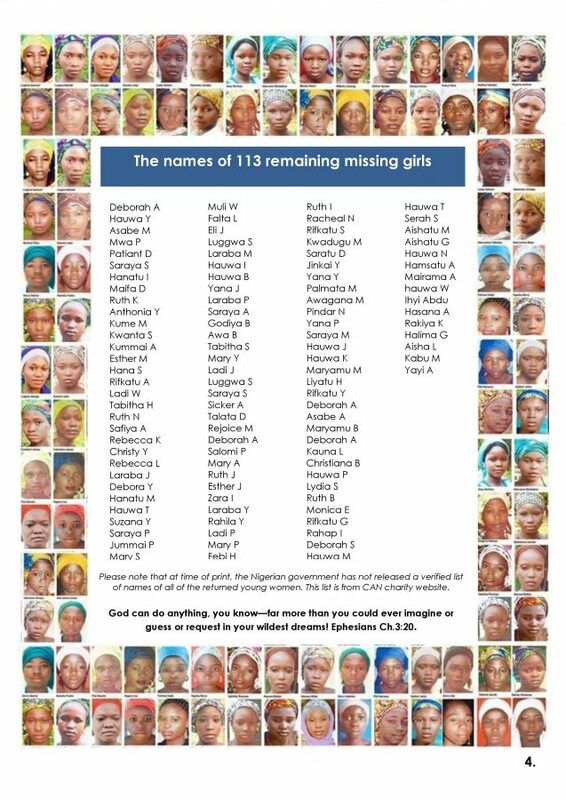 The large-scale Chibok abduction receives the most publicity – but girls and women are kidnapped almost weekly by Boko Haram – we don’t ever find out their names but God knows! The political situation in Nigeria is extremely complicated as tensions between Christians and Muslims flare. Nigeria is number 12 on the Open Doors 2017 World Watch List, the annual ranking of countries where Christians face the most extreme persecution. Christians in northern Nigeria have not only faced attack by Boko Haram, but also Hausa-Fulani herdsmen, a traditionally nomadic Islamic tribe. In 12 of the northern states, Sharia (Islamic law) has been implemented, and Christians in these states face discrimination and restrictions in accessing community resources, such as clean water, health clinics and higher education. Displaced Christians often also suffer discrimination when aid is being distributed. Some other girls and women have managed to escape or have been rescued. As survivors of sexual violence and abuse, their stories are full of horror. Many are now HIV+ and pregnant. These women require high quality long term care including counselling, safety and healthcare. Unfortunately many returning women and girls are severely isolated, marginalised, rejected and detested by both their communities. There have been reports that some young women do not want to return home out of love of new husbands, fear of exclusion or even brain-washing. The situation is incredibly complex. How can we still raise #hopeforgirls? This is a devastating injustice. Many people feel that there is no hope left for the Chibok girls and the many others who have been kidnapped. The global media is largely silent as it has shifted its focus to other emergencies. Yet GB remains hopeful. Hope is not just a word; hope spurs us into action. Hope causes us to be so dissatisfied with the status quo that we’ll be the change that we want to see in the world. Girls’ Brigade is thankful for the many GB members and leaders around the world who have been campaigning for and praying with the Chibok girls and Nigeria. Please keep it up! Here are a number of ways in which we can turn up the volume of hope for girls and women around the world. GB is inviting you to participate in a collective positive action which will ensure that these girls are not forgotten by people in positions of influence. Making a Card of Hope as an individual, in your GB company or even as part of a church service is simple. Just download the resource pack and cards and then post/present it to a key person in influence. This free resource written by GB 18-30s across the world explores social justice issues affecting girls like access to education, violence, forced marriage and self-worth. It would be perfect to use with teenage girls and young adults. Download resource here. The situation in Nigeria is very complicated and it needs continual prayer. Please use the most recent prayer points here to pray decisively for the people of Nigeria who have been affected by Boko Haram’s violence, the government and the church. You can also use our special GB International prayer with your group.